Property 8: Welcome To 'The Cabin'. Family And Pet-Friendly. Property 21: Enjoy our Cabin on the Creek! 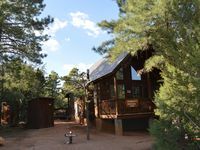 Property 22: Cozy Cabin in the White Mountains of Arizona sits on one acre of land! 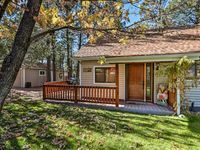 Property 44: Perfect Family Cabin in the Pines - 2 Acre Yard! Property 46: Beautiful getaway retreat in the pines! Property 47: Heber-Overgaard Cabin w/ Deck in National Forest!